Long term travel is one of the greatest adventures you can have, and we encourage anyone with the means to consider it at least once in their life! But before you take off for exotic destinations there's a lot to consider. This guide to long term travel planning has you covered, from budgets and your travel style, to your health and overall safety on the road. So you’ve decided you want to travel, and you’re pretty sure it’s going to be for a while (hooray!)? Perhaps you’ve booked your flights already, you may even know where you want to go. But what next? Do you book all your transfers and hotels now? How do you pack for different seasons on the road? And how much do you need to budget for, anyway?! While the dream might be to jump on a plane without a plan and get outta here indefinitely, sadly the reality of planning to travel the world for a while is definitely not as easy as that. After spending the past two years living the nomad life around the globe, we’ve definitely been around the block (and temple, mountain, café, and gallery) a few times during the last few rotations of the sun. Which is why we’ve come up our ultimate guide on how to long term travel - to help those of you out there who want to take the plunge and live the nomadic life indefinitely. What’s your travel style going to be? Luxury, backpacker, etc. Are you travelling the world solo, with a friend, or partner? Considering one of the largest costs of your trip will be accommodation, you’re going to have to work out what kind of traveller you’re going to be pretty early on in the planning stages. Are you going to rough it and camp, or stay in luxurious hotels? Spend your nights at budget backpackers or glam-pack your way around the world? Answer that question, then plan your budget accordingly. AirBnB is our first port of call (bad travel pun!) when looking for accommodation, and it should be yours too. There's really nothing like living in a local's home, in a local neighbourhood, and getting an insight into, well, how the locals live in the city we're visiting. Sign up here using our exclusive discount code and you’ll receive £30/$40 off your first booking. How good is that! If you haven’t heard of Hotels Combined, it’s essentially the Skyscanner of accommodation. It compares all the top travel sites to find the best hotel deals and is super easy to use; just type in your destination, dates and search. Simples. If we’re not staying in AirBnB’s, we’re generally staying in hostels, and we use Hostelworld to find the best hostels/cheapest hostels in our destination of choice. Learn more about hostels with this brilliant intro guide to hostel living! What are your eating habits like? Save more, or less, cash according to how hangry you’re likely to get if you can’t afford food! You’re going to have to replace things on the road. Toiletries run out eventually, you lose things, clothes get ripped and fall apart, or you might have to buy new clothes to suit a totally new climate (i.e. winter!). Have an ‘unexpected extras’ allowance ready to go too! Tell your bank that you’re travelling overseas before you leave to avoid having your cards suspended or cancelled due to suspected fraudulent activity! You will spend more than you’ve planned to… So always have a contingency reserve up your sleeve just in case. If you're keen to travel the world, here's how we saved to travel the world, and you can too. Plan ahead but please, don’t plan everything. Locking yourself into a rigid itinerary takes away your ability to stay longer in a place you love, or move on from a place you don’t. 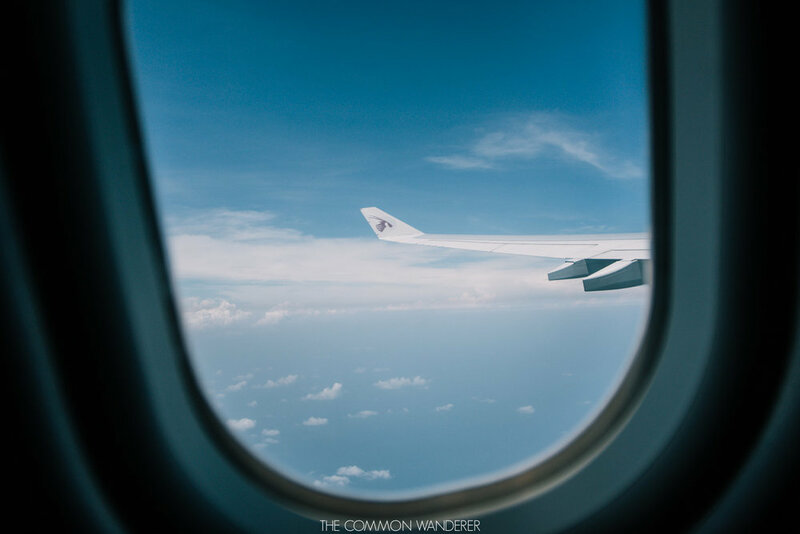 Plan the necessary stuff - long-haul flights are often cheaper booked in advance, organise accommodation for places you know will be busy - but allow yourself the freedom to roll with the opportunities your travels will offer along the way. This is the least fun part of travel - the official stuff! But, remembering the following tips will help make your life 39480239 times easier when you're standing across from an angry looking border official! Know ahead of time whether you need a visa for the countries you’re visiting - it can become extremely expensive and time-draining if you suddenly have to do a mercy dash to another town to organise it, or shell out extra at a border for faster processing. Carry printed photocopies of all your important documents somewhere other than your document wallet. Also have copies of your vital documents saved somewhere online-accessible, (we use a Google Drive folder), with a family member at home, on your email… anywhere! That way, if everything else goes missing you’ll always be able to download the copies until you can organise replacements. Many places won’t let you enter the country with less than six months left on your passport, or less than 2-4 blank pages left. Organise a new one if your passport’s up for renewal soon, or running out of space. Never underestimate the power of a hardcopy travel guide. Internet can be patchy in many places, which is obviously going to hinder your smooth planning. We’ve always travelled with a trusty Lonely Planet guide, so regardless of internet issues we’ve can always check our options. Their information on the history, politics, people, culture and language of the country is also invaluable reading on long bus rides! Travel insurance is not an optional extra. We repeat… TRAVEL INSURANCE IS NOT AN OPTIONAL EXTRA! An airline loses your luggage? Something valuable gets damaged, lost, or stolen? An emergency situation (political crisis, natural disaster) forces your itinerary to be changed or cancelled completely? You’re involved in some kind of accident, get seriously sick, or injured? Getting a quote for a year’s worth of travel can seem like a daunting and expensive cost - but don’t even think about leaving for the airport unless you’ve got it. Things will always go wrong, and this way you’ll be covered in the event that it does. Don't believe us? Mark got bitten by a snake in Malawi, and Mim got a life-threatening condition brought on by altitude in Tanzania - and travel insurance had our back both times. If you're still not convinced, read our ultimate guide to travel insurance here. 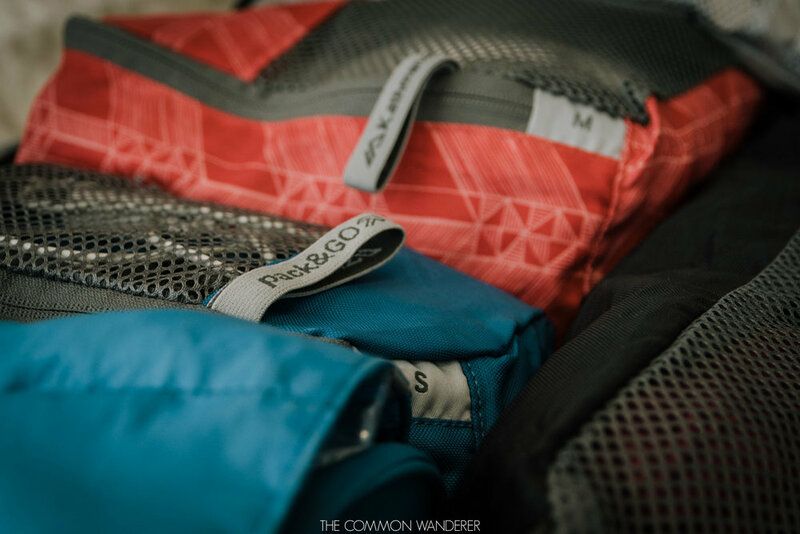 Personally, we find backpacks definitely easier to travel with than roller bags or suitcases. They’re easily swung on your back, strapped on and out of the way, and keep your hands free (Mim used this Osprey backpack in S/M during our travels!). On the other hand, roller bags take up way too much space, trip people over, and are a nightmare on potholed or cobblestone streets - not to mention carrying them up stairs! Take half what you think you need. You’ve gotta carry everything you take for 12 months. You won’t use half of it, and it just adds weight. Don’t take your good stuff away with you (okay girls, maybe one nice, versatile dress) - your clothes are going to end up looking like you crawled backwards through a thorn bush covered in mud by the time you’re finished with them. Make sure it’s the clothes you don’t care about that it happens to. Learn how to pack like a pro with our tips. Look for the cheapest deals on flights (use Skyscanner for this! ), accommodation (use Hotels Combined for the cheapest accommodation options around the world), and tours. It’s generally always cheaper to book things like safaris when you get to a place, rather than online prior to your trip. Track your costs just dutifully as you tracked your savings (see the apps section below for the perfect way to do this!). Street food will always be cheaper than a meal at a restaurant. Where possible, buy your own food instead of constantly shelling out in cafes or restaurants. We carried muesli, snacks, and lunch stuff with us most of the time, so that we could look after ourselves till dinner time! If you’re arriving late at night, organise your first night’s accommodation ahead of time to avoid any issues, but try not to book more than a couple of nights ahead in case you get there and don’t feel the vibe as much as you thought you would. Travel slow. Stay longer in less places, and get to know them really well. The richest travel experiences we’ve had came from feeling ‘like a local’ in a place. Plus, by staying like a local for longer, you’re supporting the market owners, taxi drivers, shopkeepers and guesthouse owners in the area - and that’s awesome. Avoid using taxis wherever possible and take the local transport instead. It’s cheaper, you’ll meet more locals, and get a more authentic perspective of where you’re travelling in. You don’t always have to have your flights locked in months in advance - we often booked our next one only a couple of weeks before. Sometimes we had to pay for it, other times we lucked out with an amazing deal that made up for it! Back everything up, all the time. We've heard too many horror stories from people who lost all their photos or notes from a year of travel by not backing up their stuff properly, having their gadgets stolen, or something just goes wrong. There’s no excuse these days not to back your stuff up to the cloud or a hard drive - even if you need to duck into an internet cafe! Keep good notes - don’t rely on your memory to remember the little beach cafe you had incredible seafood curry in Goa, or the afternoon you spent exploring the tiny temple you stumbled across in Luang Prabang. Write them down in your notebook and you’re guaranteed they’ll be there to reminisce on forever (unless you lose your notebook, which we don’t recommend… at all!). Podcasts will save your life on long bus rides, train rides, flights, etc. Plus they’re a great way to keep learning and keep your mind sharp while on the road! Take a book, and when you’re finished, trade it for a new one at the next hostel you go to. Maps.me: a brilliant app that allows you to download a map of a place and access it offline later. Perfect for when you’re arriving into a new city without internet access! XE - Currency Exchange: up to date currency rates and the ability to convert costs in real time - particularly handy when bargaining in a Cambodian market! Trabee Pocket: a dream app for any travel budgeting, Trabee allows you to plan your budget and manage your daily expenses so easily it’s ridiculous. We used it throughout our year on the road and it was perfect. You’ll never have any excuse for running out of money again! Travel is amazing - and amazingly tiring. No matter what everyone at home thinks, long term travel especially is not all lazing on beaches and soaking up the sun. Some days are extremely long and uncomfortable, you constantly have to be ‘switched on’ mentally, things can go wrong, and missing your loved ones and creature comforts can take its toll. Successful long term travel comes down to how well you look after yourself while on the road. Sick on the road? Here's our guide on how to survive! How do you feel at home when you’re not exercising or sleeping enough, and eating poorly? Add in the intensity of travel, and you’ve got yourself a breeding ground for illnesses, exhaustion, and mental stress. Keep fit. Yes you’ll walk heaps, but also try to find different ways to exercise and get that heart rate up without needing a gym, such as yoga, or personalised workouts in a park. Get enough sleep (eye masks and earplugs are essential for noisy dorms!). If you're finding that you're struggling to catch enough shut eye in dorms, treat yourself to a night in a private room once in a while. A good night's sleep (with no snoring roommates!) will do you and your body a world of good. Do your best to mix in some healthy options amongst all the amazing food you’re eating! While it might be tempting to always be in 'treat mode' on the road, eating well with keep you well-fuelled, healthy, and ready for whatever your adventures throw at you. Keep in touch with home. Sometimes the connection allowed us a good chat with our loved ones, other times we had a 10 second delay and a pixelated outline of their faces. No matter what, it was always worth it for time with the people we love best. You’re never going to look very put together when you long-term travel. Some days you won’t shower, your clothes will be dirty and holey, and your hair will be fit for a bird to nest in. Embrace it, and remember the trade-off is beach hair, sun-kissed skin, and eyes that sparkle with adventure instead. Trying all the local food is great, but don’t feel like you’ve failed if you eat western food every now and then. We even wolfed down McDonalds AND KFC in Bangkok after spending 3 months sampling all the delicious food in SE Asia because we just needed something familiar. No regrets here! Take time to relax by yourself every now and then, especially if you’re travelling with another person. Bad things WILL happen. It’s how you handle them that matters. Stay positive, and try accept that just because things happen differently here, doesn’t mean they’re better or worse than at home. At the end of the day, it's up to you how to travel the world. Whether you live by all these tips or not, always keep in mind that you’re one of the lucky few who gets to travel and experience the world outside your own front yard - that alone is amazing! Have you got any other tips for long term travel planning? Be a legend and share them with other readers in the comments below!